With the Netherlands reaching the World Cup final for the first time since 1978, the genever is sure to be flowing this Sunday, and mixologists and cocktail enthusiasts alike will be reaching for Bols Genever. Founded in 1575 by the Lucas Bols family, Bols Distilleries is the leading producer of genever, aka Holland Gin or Dutch Gin, the most popular spirit in the Netherlands. 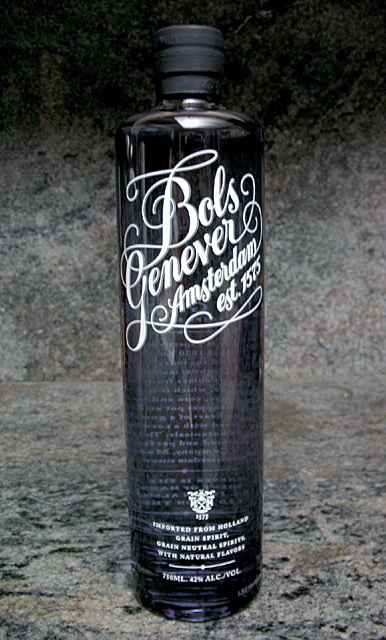 While Bols is known internationally for its gin, vodka, and liqueur products, it’s the genever that’s received the accolades from the cocktail cognoscenti since it was re-launched in 2008. 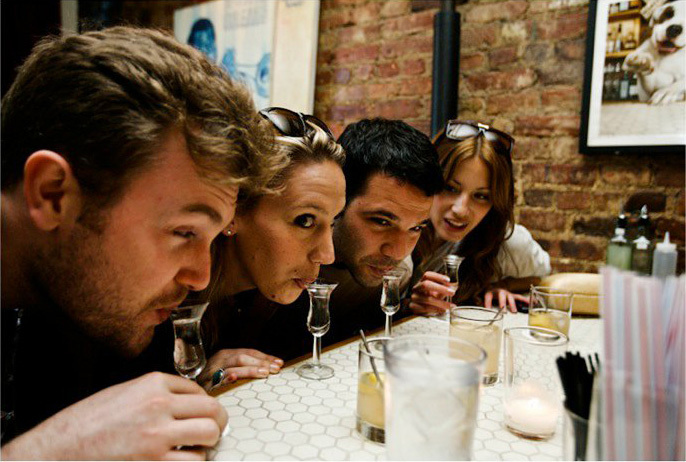 “This is a most exciting time for the Dutch,” says Tal Nadari, the Managing Director of Lucas Bols USA. “We are taking this opportunity to share some of our country’s best traditions with the world, with help from Bols Genever.” One of those Dutch customs is the kopstootje (“little headbutt”), a slurp of genever from a tulip glass filled to the rim, with a beer back. So if you’re rooting for the Oranje this Sunday, put on some clogs, ride your bike to your favorite bar, go Dutch on a few kopstootjes, and you’ll be Gouda to go. The Booze Fairy must be a fan of the Netherlands, because a review bottle of Bols Genever arrived just before the weekend of the World Cup final. While the first genever by Bols was produced in 1664, Bols Master Distiller Piet van Leijenhorst turned to an 1820 Bols recipe when he began working on the new genever with an eye towards the modern cocktail culture. The resulting white spirit is made from a triple-distilled blend of a neutral grain spirit with over 50% malt wine (moutwijn, a grain mash of corn, rye and wheat similar to whiskey), infused with select botanicals. Nose – Initially malty and sweet, with spicy and citrus notes, a hint of juniper. Palate – Rich, malty and sweet on entry, subtle floral and citrus, with juniper at the end. Finish – Long, warm and velvety smooth. The bottle was designed by …,staat, the Dutch creative agency that also designed the award-winning House of Bols Cocktail and Genever Experience. The shape of the smoked glass bottle mirrors that of vintage earthenware genever bottles. The calligraphy for the flowing Bols Genever Amsterdam est. 1575 script was done by Niels Shoe Meulman, who was inspired by the original 19th century Bols logo and the hand-painted signs that are still seen on windows in Amsterdam’s Old Center. For more information, visit www.bolsgenever.com. The above quote introduces “The Genever Diaries” section of this door 74 cocktail menu. The famed Amsterdam bar called genever “the favoured drink of kings, queens, sailors, soldiers, slavers and scientists,” a spirit with a history as rich as any you’d care to name. Cocktail historian David Wondrich notes that, when he was researching his book Imbibe!, he discovered that Jerry Thomas was referring to Hollands gin in many of the cocktail recipes in his seminal How to Mix Drinks, or the Bon Vivant’s Companion. According to Bols, genever was so popular that in 1880 the amount of Dutch gin imported to the US was six times that of gin from Britain. 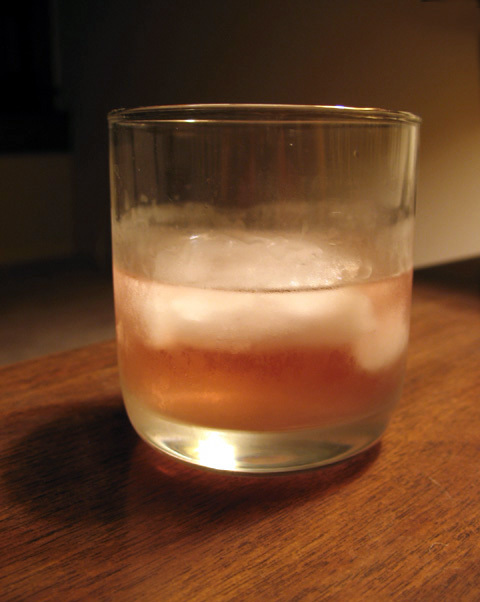 With that in mind, Wondrich (in his role as Esquire magazine’s cocktail guru) includes genever as an option in the recipe for the Old-Fashioned Gin Cocktail. 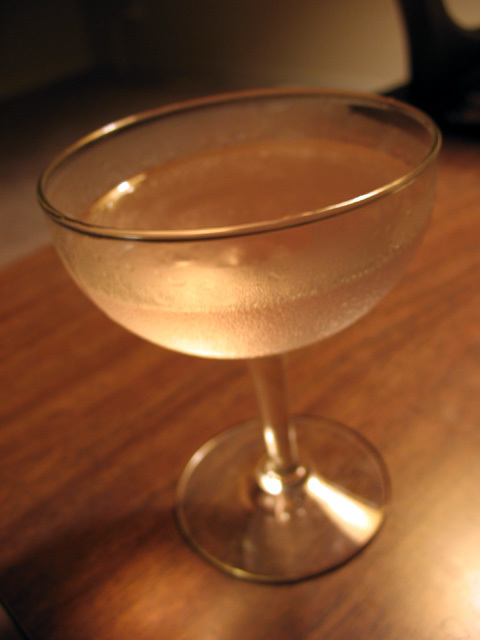 He prefers Holland Gin in the Improved Gin Cocktail, which he calls “a rich, smooth, and classy little sidewinder,” thanks to the malty genever. In his recipes, Wondrich sometimes offers several options (e.g. Grand Marnier, Maraschino or Cointreau for the liqueur in the Improved Gin Cocktail); the ingredient I used is in parentheses. Dissolve sugar in a rocks glass with the water and bitters. Muddle until the sugar dissolves. Add gin, stir well, and add 2 large ice cubes. Let it sit for a couple of minutes before drinking. Combine ingredients with a generous amount of cracked ice in a shaker. Stir vigorously and strain into a chilled cocktail glass. Squeeze a lemon twist over the glass and rub it around the rim. For a modern genever creation, check out the 606, from San Francisco’s Joel Baker (Bourbon and Branch). The recipe is from the upcoming Left Coast Libations cocktail book. In a mixing glass, stir all the ingredients gently with ice.